under Directorate of distance education, Vidyasagar University. 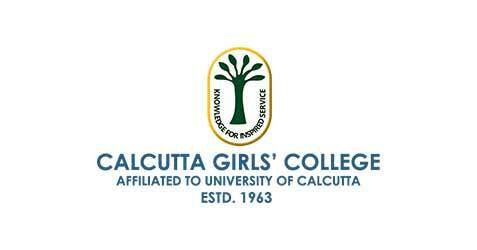 Calcutta Girls’ College was founded by Smt. Ena Ghosh, Bijoy Singh Nahar, the then Labour Minister of West Bengal, Labanya Probha Dutta (Ex-MLA) and other noted figures, on August 16th, 1963. The founders aimed to facilitate the working girls who were then coming out for the first time to build a career. The College provided an opportunity for these working girls to acquire higher education. The Socio-economic condition then necessitated the hours to be in the evening for the aspirant working women and hence the college was unique in its purpose. Many students graduating from this College have excelled in their careers. However, in the recent past the composition of the students altered considerably and most of them were coming fresh out of school. As a result the evening classes in the late hours created difficulties for them. This necessitated the formulation of a new vision regarding the college hours.